I love trading in places where other traders have got it all wrong! Identify breaks of significant price levels which occur just prior to a major market event such as a news release or a new session open. 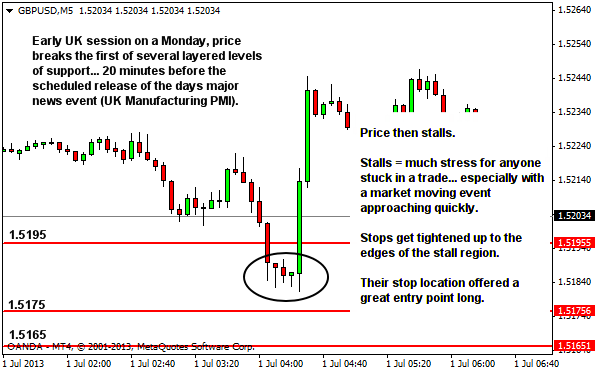 Who would trade a break of a level just prior to an event which can change the sentiment of the market? What were they thinking? I love to see this. When it occurs I then watch for potential failure of the breakout. Of course, the breakouts don't always fail. 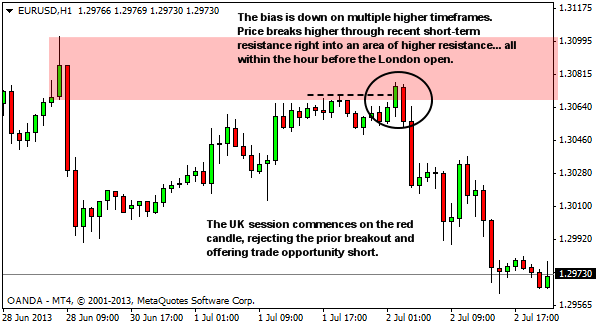 Sometimes the "sentiment changing event" acts to support the breakout and move these traders to further profit. But when they do fail, they often provide us with an entry area offering low risk compared with potential reward. That's the important point here!Let's look at a couple of examples to see how this shows up on the charts. Take note of the way that the failed break offers a clear position for our stop and an exceptional reward:risk opportunity. 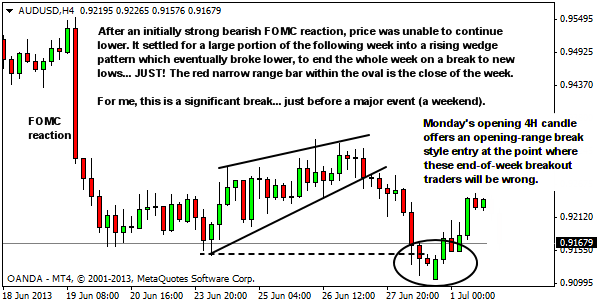 Watch for a great reward:risk opportunity at the point of their trade failure!